Students attending one of Oklahoma’s four-year public colleges or universities paid $1,192 extra in tuition this year compared to 2008, according to a report released this week by the Center on Budget and Policy Priorities. 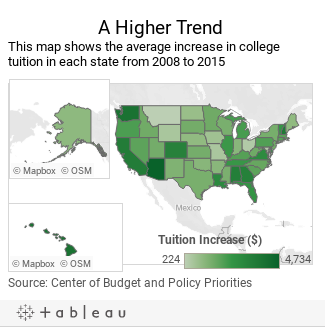 The national report looks at how higher education funding has changed in each state since the recession hit. 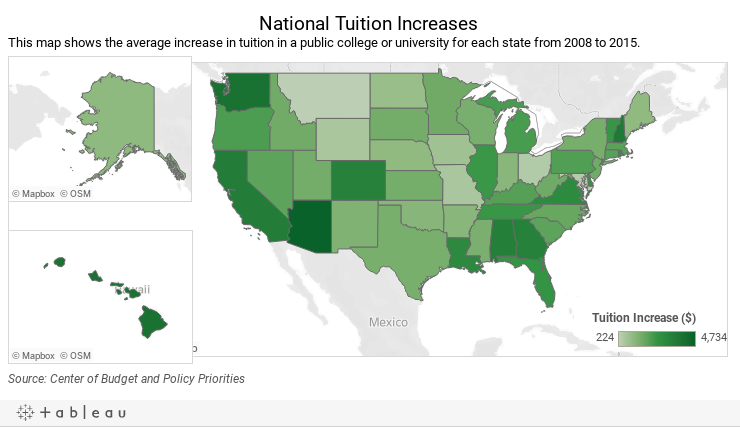 Most states cut funding to overcome a drop in tax revenue, which resulted in higher tuition for students, according to the report. The $1,192 increase in tuition, which is adjusted for inflation, ranks Oklahoma 38th in the nation, according to the report. That’s a 20.9 percent increase between 2008 and 2015. Arizona is first, with students paying an average of $4,734 more in 2015 compared with 2008. When adjusted for inflation, Oklahoma’s current higher education funding fell 23.5 percent between 2008 and 2015, according to the report. That’s the 17th largest decrease in the nation. That decrease means the state is spending $2,251 less per student. Arizona has the largest decrease at 47 percent, or $3,053 less per student, according to the report. 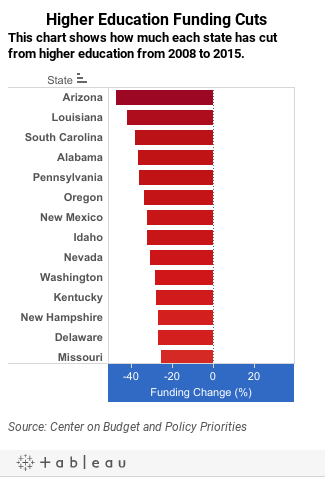 The report notes only three states, Oklahoma, Kentucky and West Virginia, have cut per-pupil higher education funding in each of the past two years. 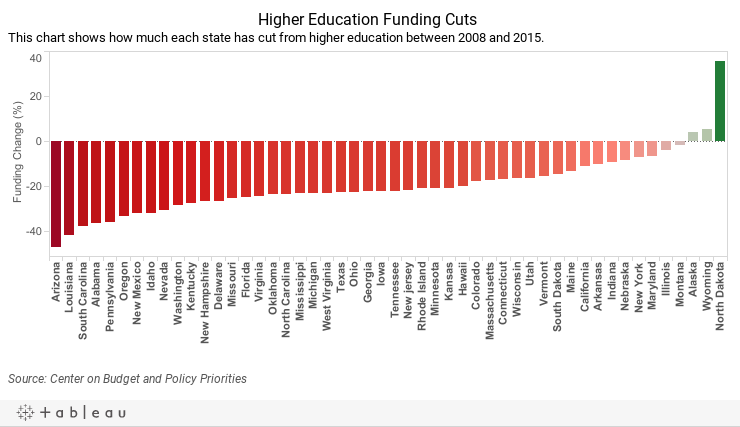 Alaska, Wyoming and North Dakota are the only states that are spending more on higher education in 2015 than before the recession hit.